The Catalina 16.5 boasts a big roomy cockpit, and large storage locker forward, making for ideal family outings. The Centerboard model features a powerful sailplan, balanced by the stable hull form and fiberglass centerboard and rudder. Tiller extension, adjustable outhaul, and sheet bag are all standard equipment. 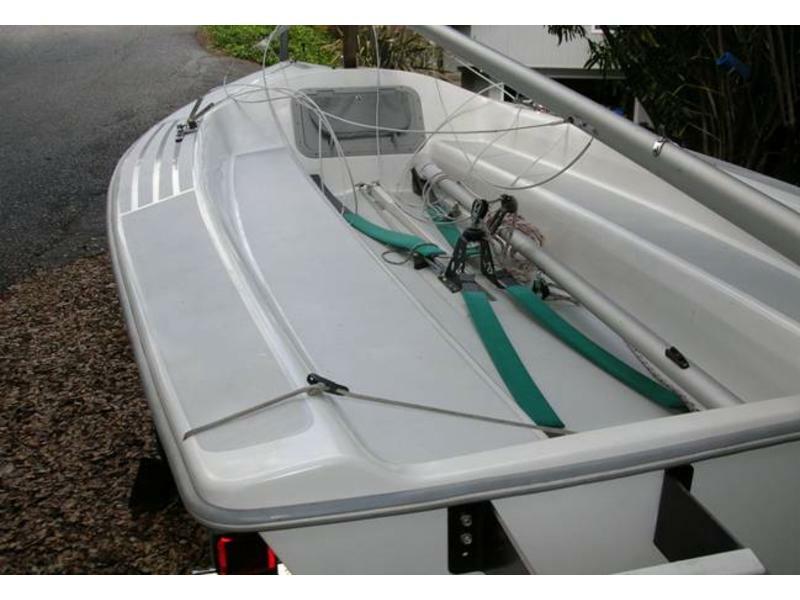 Boat, boat cover, rigging, sails, motor and trailer all included and in excellent condition. 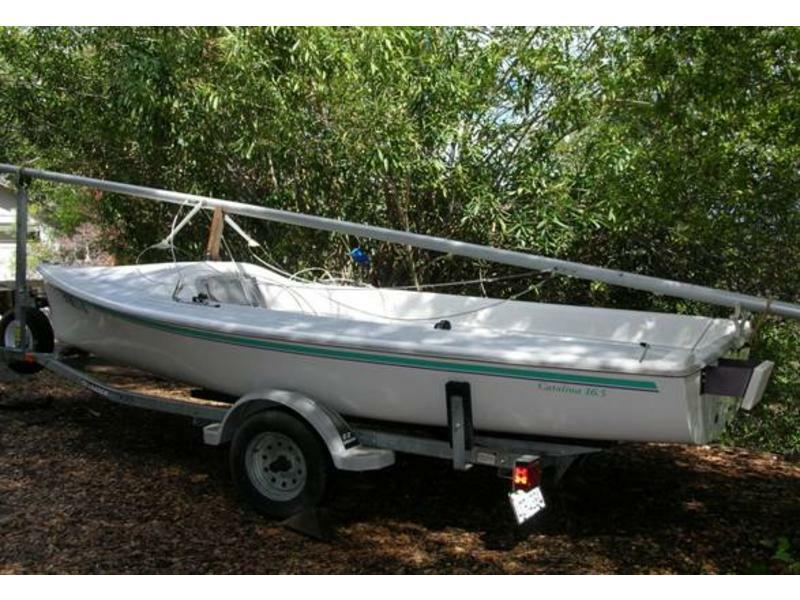 Excellent condition, perfect gel coat, garaged, on trailer, and all of the bells and whistles. Honda outboard engine. Four life hackets, mainsail, jib, sailbag, extra sheets and ropes, everything you need for a great day of sailing. Honda 4 Stroke 2HP Outboard Engine.